ISLAMABAD: Talks between the government and the opposition over the appointment of caretaker prime minister have reached a deadlock, as the two sides failed to meet since April 11. 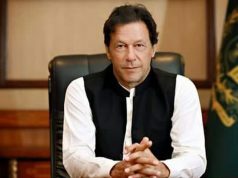 Prime Minister Shahid Khaqan Abbasi and Leader of the Opposition in National Assembly Syed Khursheed Shah were scheduled to hold the second and final formal round of negotiations during the first week of May (last week) over the appointment of the caretaker prime minister but the meeting had to be postponed following a deadlock between the two sides. The first formal meeting was held on April 11. While the opposition is pushing for the elevation of either of the two candidates – former chief justice of Pakistan Tassaduq Hussain Jillani and former governor of the State Bank Dr Ishrat Hussain – for caretaker prime minister, some circles in the federal government and ruling Pakistan Muslim League-Nawaz have put weight behind former chief justices – Jawad S Khawaja and Anwar Zaheer Jamali – for the job, The Express Tribune has learnt. The opposition wanted the announcement of the caretaker prime minister before May 14 when the National Assembly will be voting for passing the federal budget, according to sources in the government. 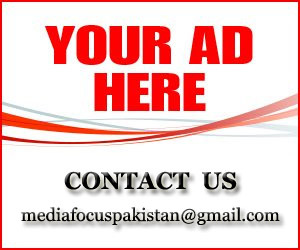 Reportedly, the opposition, and Pakistan People’s Party in particular, linked its support to the federal budget to the federal government’s announcement – to appoint caretaker prime minister on the nomination of the leader of the opposition. However, the government has refused to accept the condition and is now reaching out to PML-N lawmakers and allies to ensure majority to have Finance Bill 2018 sailed through the lower house. Shah earlier on Saturday told journalists that consultations on caretaker prime minister would be finalised by May 16, saying further negotiations were not held with the government, and opposition did not formally put up any final name for the post. Reliable sources in the opposition said Khursheed Shah does not want to give the impression that the government has refused to accept the oppositions’ terms – to announce caretaker PM as nominated by the opposition before May 14. 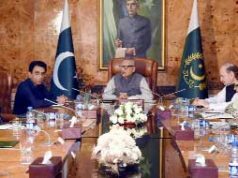 “Shah sahib’s statement – that consultations would complete by May 16 contains an implied hint – the government has refused to finalise caretaker PM before the budget. 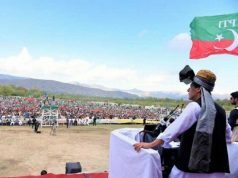 “But he (Shah) does not want to give the impression that government is not accepting the opposition’s terms which is why he has not elaborated on why consultations would continue till after budget when the government and opposition were to meet in the first week of May,” said an opposition legislator, wishing not to be named. A PML-N leader said the government was ‘extremely concerned’ over whether it would secure the desired simple majority to get Finance Bill 2018 passed from the National Assembly – “not because the opposition is not ready to support the federal budget but because large-scale defections are being feared in our own ranks”. The leader cited some reports doing the rounds in the party circles that between 70 to 80 lawmakers from the PML-N decided to quietly boycott the budget session due to their differences with the party leadership – in order to prevent the government from passing the budget. In case of large-scale defections or lawmakers inconsiderable number tending to skip the budget session at the time of voting, the PML-N would struggle to secure the simple majority either due to lack of quorum that could lead to adjournment of the session or due to lack of simple majority leading to the government’s defeat in the house. The source said PM Abbasi is cognizant of the gravity of the situation. 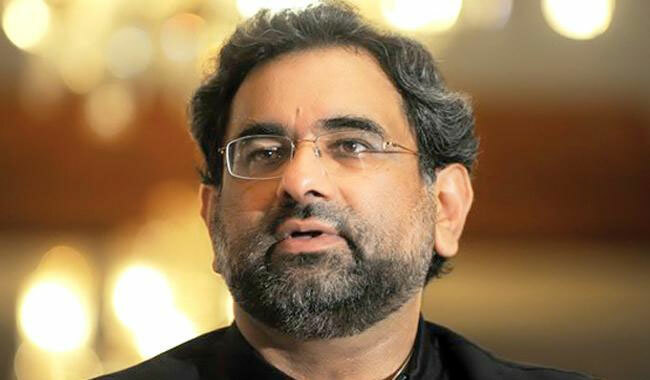 This, he said is the reason why Abbasi recently attempted to “offer an olive branch” to the opposition – by saying that the opposition should come up with a name for caretaker prime minister and the government would accommodate it, and if the government comes up with a name, the opposition should accept it for caretaker premiership. The government presented the Finance Bill 2018 on April 27. The NA is expected to continue debating it for next few days before it is passes with a simple majority vote – assuming all government MNAs vote in favour.